AXIS/SybronEndo's OptiDisc finishing and polishing discs obtain a final polish on restorations that is equal to that of natural dentition. The 3-grit system achieves a higher surface gloss in fewer steps than competitive products. An extra-coarse disc is also available for gross removal before finishing and polishing. 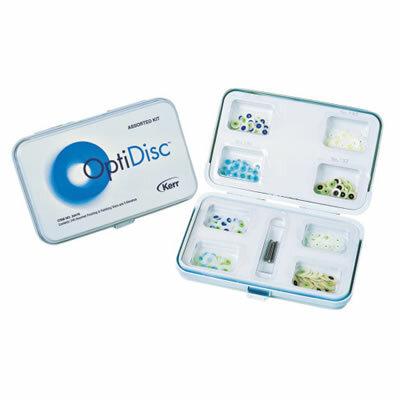 OptiDiscs are translucent for enhanced working surface visibility.